The backlash against China's epic global shopping spree just intensified: a U.S. government panel is trying to stop Chinese state firms from snapping up American companies. Warning of a threat to national security, the U.S.-China Economic and Security Review Commission wants the United States to block Chinese state-owned companies from carrying out takeovers in the country. Chinese companies are buying up foreign businesses at a record rate this year, fueling unease and objections in some Western countries. Deals for technology companies have caused particular concerns. The U.S. commission, which provides non-binding recommendations to Congress, is accusing Beijing of using its huge state-owned enterprises (SOEs) as tools to advance national security goals. "There is an inherently high risk that whenever an SOE acquires or gains effective control of a U.S. company, it will use the technology, intelligence, and market power it gains in the service of the Chinese state to the detriment of U.S. national security," the commission said in a report released Wednesday. China's Ministry of Foreign Affairs declined to comment Thursday. Established by Congress to monitor U.S.-China relations, the commission is known for taking a hawkish stance toward Beijing. Its report was published as U.S. President-elect Donald Trump, who has promised to get tough on China, is preparing to take charge in the White House. 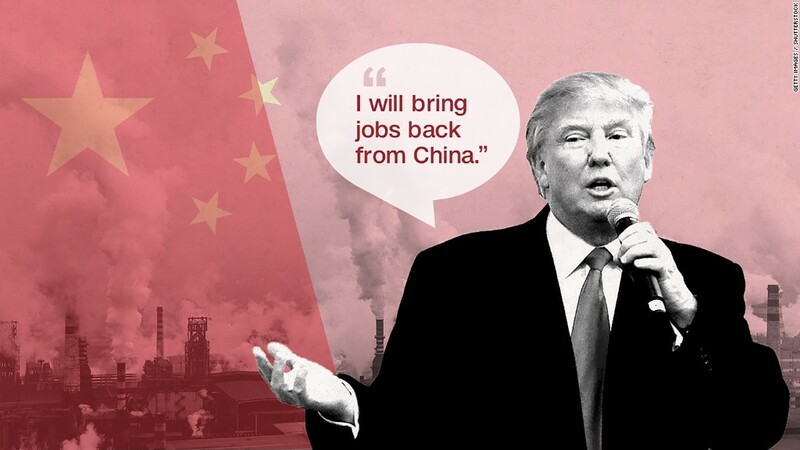 On the campaign trail, Trump threatened to slap tariffs of 45% on Chinese exports and label Beijing a "currency manipulator." Chinese firms' rapidly growing investment in the U.S. is driven by a number of factors, including encouragement from the Chinese government, slowing growth at home and looser restrictions on overseas deals. Western countries and companies often welcome the influx of Chinese money. But critics point out that China is much less open to foreign investment in many of its own industries. Some recent attempts by Chinese state-backed companies to acquire U.S. technology businesses raised concerns in Washington. Earlier this year, Fairchild Semiconductor rebuffed a higher offer from Chinese state-backed buyers, and instead agreed to a deal with an American rival, over an "unacceptable level of risk for a failure to obtain [regulatory] approval," according to a SEC filing. State-owned company Tsinghua Unigroup also dropped a $3.8 billion investment in tech firm Western Digital (WDC) in February after U.S. regulators said they would investigate the deal on national security grounds. U.S. lawmakers have also called on regulators to probe a Chinese takeover of the Chicago Stock Exchange.